KOCHI: Nedumbassery, a small town 27 km from Kochi and 40 km from Thrissur, is now famous for its Cochin International Airport. This village is in between the two small towns of Aluva and Angamaly. A small hamlet of considerable natural beauty and home to very hospitable and courteous people, this village is endowed with enough water resources to meet the demands of its populace. The zeal with which the local authorities tend to water bodies in the area helped to eliminate water shortages even during acute summers. The story behind the place acquiring its name says that a poor heart broken, backward-caste man called Nedumban Pulayan, arriving there as a refuge and taking a huge stock of land as gift from the local chieftain to cultivate and live. The land where Nedumban Pulayan lived and cultivated is today known as Nedumbassery. Recently there has been immense demand for the land in and around Nedumbassery with property prices shooting up. With the arrival of the new international airport and the proposal for a new railway station, the traditional land owners sold many of their lands to new buyers at very high prices. The paddy fields in and around Nedumbassery were once a granary to the people of Kerala leading a Japanese delegation to conduct a study on the enriched paddy fields of Kerala. Nedumbassery is also the home town to a famous Jacobite Syrian Bishop late Geevarghis Mar Gregorios of Vayaliparambil Pynadath family (1899-1966), a leader and an educationalist, who managed from high school to engineering college in 1960s, starting a silent educational revolution as early as 1939 in a pre-independent British India. The English high school built in 1939 by H E Mar Gregorios, known as Mar Athanasious High School, was the biggest centre of activity for many decades providing education to people in the nearby areas including Angamali. Former speaker of the Kerala Legislative Assembly, Commander P P Thankachen, was a student of Mar Athanasious High School. The school has been the only source of education to all classes of people and has produced many IAS officers and top bureaucrats of India. 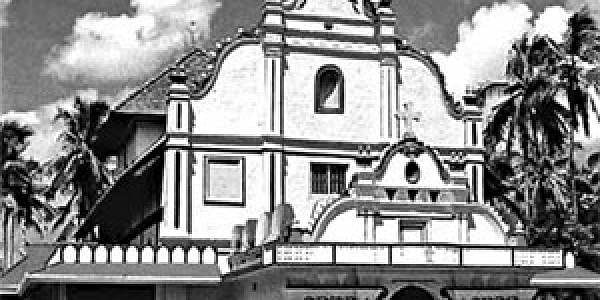 It is also site for the St George Jacobite Syrian Orthodox Church built by Mar Gregorios in 1949. On the way to Cochin International Airport is the famous Mar Sabor and Afroth Jacobite Syrian Orthodox Cathedral built in 825 AD, named after the two Syrian Orthodox bishops who arrived India in 825 AD, making way for all patriarchs of Antioch to visit India. There are good hotels and restaurants near the airport as well as an auyervedic centre called Kerala Pharmacy. Athani, which was once a part of Nedumbassery, is today an important intersection leading international travelers to one of the country’s prestigious airports, the Cochin International Airport.